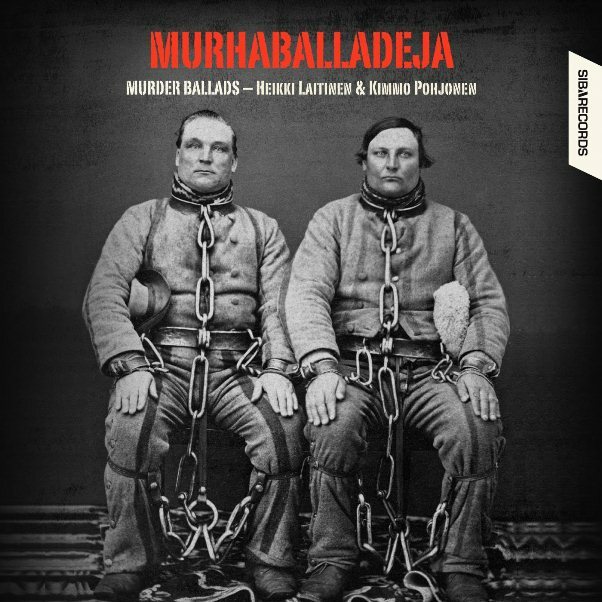 One of the more unexpected and interesting albums to show up in my mailbox in recent months is Murhaballadeja by vocalist Heikki Laitinen and accordionist Kimmo Pohjonen. Being someone who studies American popular music I am quite familiar with the long tradition of murder ballads in the United States, a tradition which goes back several hundred years and stems from the British Isles. But I am completely unfamiliar, as I assume most Americans would be, with the murder ballad tradition of Finland. Like American murder ballads, these Finish varieties are pretty dark and often quite graphic. Laitinen’s direct vocal delivery, which is at times embellished with trills and is sometimes given in a recitative style, is accompanied by Pohjonen’s enormous sounding accordion, which sounds so large one could mistake it for an organ. and released her from the torment. Pohjonen’s accordion on this cut is extremely haunting, ethereal, and altogether spooky. It’s not the style of accordion playing one might usually expect from the instrument, i.e. polka. At the conclusion of Laitinen’s vocals, Pohjonen conjures up a violent, swirling and turbulent storm; it’s unlike any accordion I’ve ever heard, and fits with the dark subject matter perfectly. Other songs tell of the assassination of Tsar Alexander, fatal knife fights, a murder at a concert, and other tragic tales. Murhaballadeja is an intriguing look into the folk music culture of Finland; it’s full of captivating music – even if the lyrics are in Finnish; and it’s unlike anything I’ve heard.